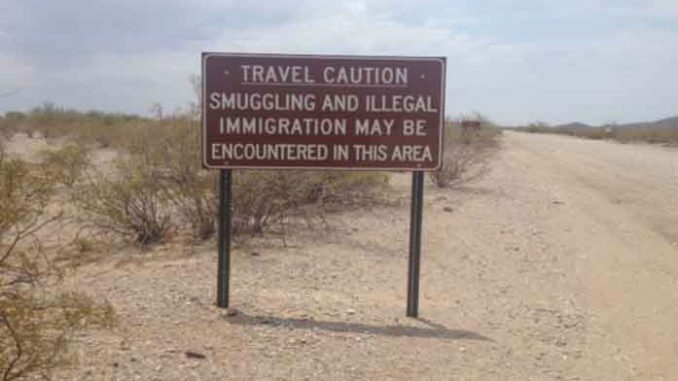 TUCSON – Efrain Guillen-Olivas, an illegal alien who was previously convicted in Phoenix for multiple felonies, was arrested near Lukeville, Arizona by Tucson Sector Border Patrol agents. Guillen-Olivas, age 42, was previously convicted of multiple felonies in Phoenix for dangerous drugs, narcotics possession, aggravated assault with a deadly weapon, kidnapping, and several sexual assault charges, according to U.S. Customs and Border Protection (CBP). Guillen-Olivas received over 13 years in prison for his crimes. He was previously deported from the U.S. on multiple occasions, according to CBP. any illegal alien who was deported once and is a convicted felon and who is caught crossing the border illegally again needs to be shot on the spot. No trial or questions … just a bullet to the head and case closed. Bill Yes I feel ya ! its getting to the point of anger, that So many bleeding hearts dont see whats going on. I feel we need to focus on our own children being ripped from familys here in the usa because of the drugs/crime Why are they not thinking about their fellow Americans first ? Wait in line Do it Legal. We do not want any more Illegal drugs and thugs here..
Why dont You care for the millions of fellow Americans here already ? The Children here being abused Are you going to share your house your money your food your car for them ? So whos the bad guys ? And then and only then wecan help others.. They are destorying our country and becoming very rich doing it Taking our resorouses away from our children our Vets from us, all of us. We Americans Must and always must come first My father died protecting this great land. Then act like one .